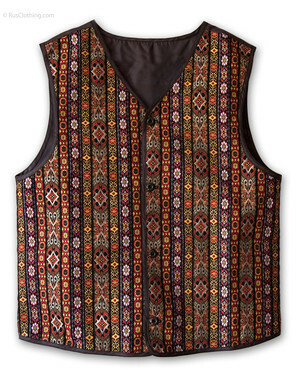 Rubakha is a traditional Russian shirt in a tunic style from old Slavic times. 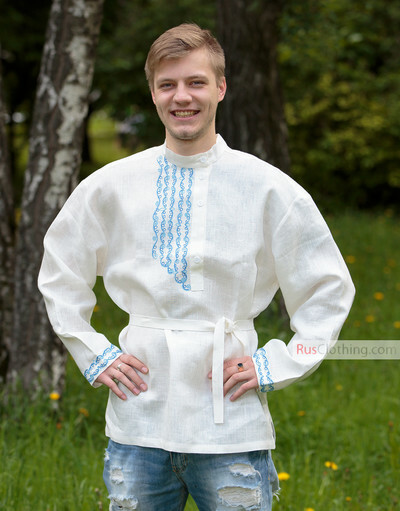 First kosovorotkas were very long up to mid-knee, later Russian shirts were shortened to mid-thigh. 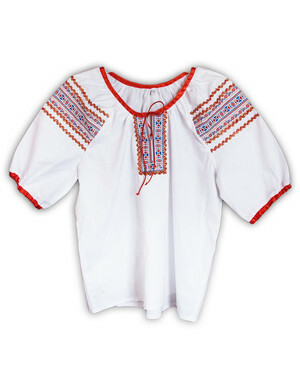 Kosovorotka has a cut at the collar, usually on the left side. 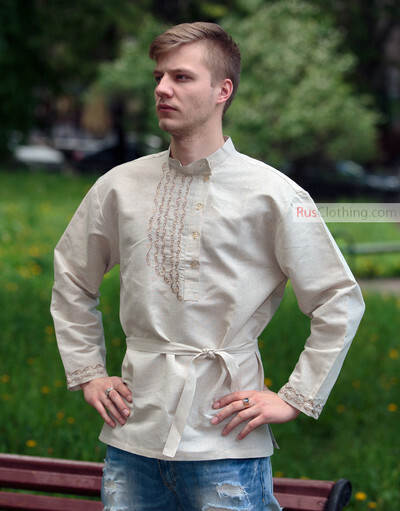 True kosovorotka or tolstovka must be long, no cuffs on the sleeves, with a small stand collar. 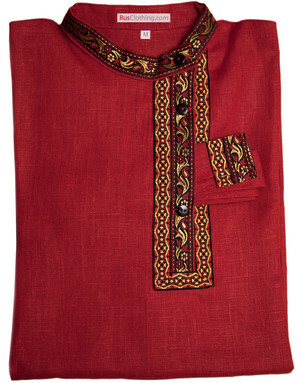 The embroidery is made on the right side from the cut to create illusion of symmetry. 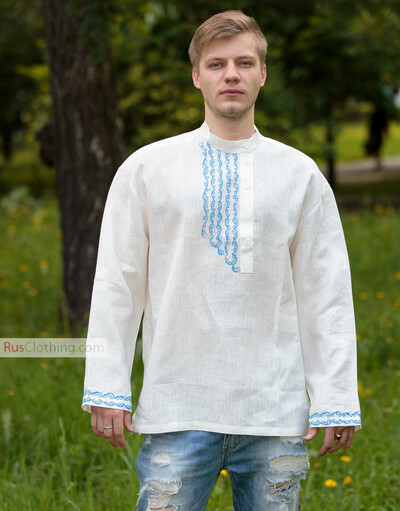 This model of Russian shirt kosovorotka has a tender, blue or pastel floral embroidery. 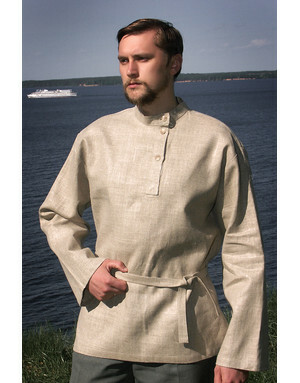 The rubakha shirt is made of 100% linen. We offer 2 versions: white Russian shirt with blue embroidery and natural linen tolstovka with pastel embroidery.